Louise Galvin formulations use NATURAL vegetable proteins to volumise, smooth and add gorgeous shine to hair without damaging hair or the environment. 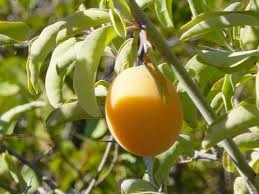 Ximenia oil, also known as Seaside Plum is found in the woodlands and savannah of Southern Africa. It is one of the richest oils, and helps to moisturise the hair. This oil plays a huge part in leaving hair soft and silky. ‘Over the years my passion for healthy body, soul and hair has just got stronger - after all it is in my blood!’ says Louise. ‘I have long understood the importance of living a healthy life to look and feel the best you can. What you put onto your body is as important as what you put into it as far as I’m concerned and I take beauty ingredients as seriously as I do the ingredients and provenance of my food. Naturally, my own hair care products had to be as clean and green as they are effective and luxurious. Yuzu Citrus oil adds shine and vitality. Chemicals are a controversial topic, not just in the beauty industry, which is why I initially chose to work with a Green Chemist. Green chemistry encourages the design of products and processes that minimize the use of hazardous substances. We have evolved from using mere unsophisticated plant extracts to plant derived actives issued from green chemistry We spent hours finding combinations of natural and naturally derived ingredients that worked to clean and nourish the hair. The result was Sacred Locks, a glamorous but caring and conscience range that does not contain silicone, SLS, Petrochemicals, parabens, synthetic fragrances or polymers. Kukui and Rapeseed oils are natural polymers - protect the hair from environmental damage. Instead, the products are brimming with things like vegetable proteins, (corn, soy and wheat), to strengthen and thicken hair, adding volume and vitality; Kukui and Rapeseed oils are natural polymers that protect the hair from environmental damage; Ximenia Oil, also known as Seaside Plum, is one of the world’s richest plant oils which smoothes the hairs cuticle giving shine and improving manageability making the hair feel soft and silky while repairing any damage; Coconut oil and sustainable Palm Oil derived cleansers; Panthenol (Pro Vitamin B5) increases hair elasticity and restores moisture for improved colour retention. The entire range contains fragrant Yuzu Citrus oil for added shine and vitality and mandarin oil to give it the zingy signature scent. Corn Soy and Wheat Proteins are vegetable alternatives to keratin which strengthens and thickens hair, adding volume and vitality. Chemical ingredients such as silicone undermine and destroy our hairs natural ability to shine by stripping the hair shaft of natural oils and coating it in a plastic type material that not only coats the hair but also penetrates the cuticle, leaving hair dry and brittle, prone to breakage and will eventually coarsen the cuticle. Silicone is insoluble and therefore requires a clarifying shampoo to fully remove it. Inulin derived from chicory has helped many people with dry scalp issues. It is a prebiotic that protects the scalps ecosystem. ‘More recent and extensive research at the Centre for Advanced European Studies and Research in Bonn, Germany has also found a direct link between chemicals in household products, such as soaps and problems with declining sperm counts’ says Jackie. ‘Surely, even if there is a hint that these ingredients could be harmful, and there are clean, natural alternatives available, why wouldn't we choose them’ says Jackie. ‘Start looking and learning about what’s on the label of your shampoo and consider what you are putting on you and your families hair and skin’ agrees Louise. PROPYLENE GLYCOL A synthetic penetration enhancer and polymer Found in Anti Freeze. Can allow harmful ingredients to be absorbed more readily through the skin into the blood stream. It can also cause allergic reactions. While carcinogenic contaminants are the primary concern. 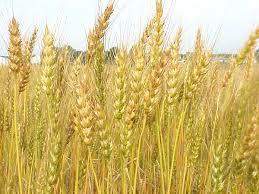 Kukui and Rapeseed Oils are natural polymers - protect the hair from environmental damage. SODIUM LAURYL SULPHATE A harsh detergent to cleanse hair of oil and also give product its foaming qualities Commonly used in shampoos and soaps but also found in engine degreasers and many household cleaners. Will strip natural oils from hair and scalp, potentially damaging the lipid layer of your skin resulting in over-activation of the sebaceous gland giving dry hair and greasy roots and irritation of the scalp. Will also strip colour, research has shown there is also a harmful effect on our marine life from SLS washing into our water systems Sodium Cocosulphate, Decyl Glucoside and Cocoglucoside derived from Coconut Oil and Sustainable Palm Oil, Soil Association approved sulphate cleanser. Kinder and milder to the skin. Larger molecules will not pass through the dermis and are biodegradable so less environmental impact. SILICONE Smoothing, ease of combing, shine A plastic type material that not only coats the hair but penetrates the cuticle, leaving hair dry and brittle, prone to breakage and eventually coarsens the cuticle. Silicone is insoluble and therefore requires a clarifying shampoo to fully remove. Ximenia Oil (Seaside Plum) is one of the richest oils, and helps to moisturise the hair. This oil plays a huge part in leaving hair soft and silky. Smoothing qualities, improved ease of combing. SYNTHETIC FRAGRANCE Fragrance Aesthetic Drying to scalp and hair and potential irritant and allergen. 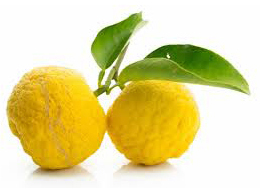 Natural Citrus Aromatherapy Oils not only gives a fresh, natural fragrance but also adds shine and volume to the hair. Corn Soy and Wheat Proteins are vegetable alternatives to keratin, which strengthens and thickens hair, adding volume and vitality whilst improving elasticity. Panthenol Pro Vitamin B-5 Increases hair elasticity & moisture retention. Vegetable Proteins Derived from Corn, Soy and Wheat to volumise, smooth and add gorgeous shine to hair without damaging hair or the environment.